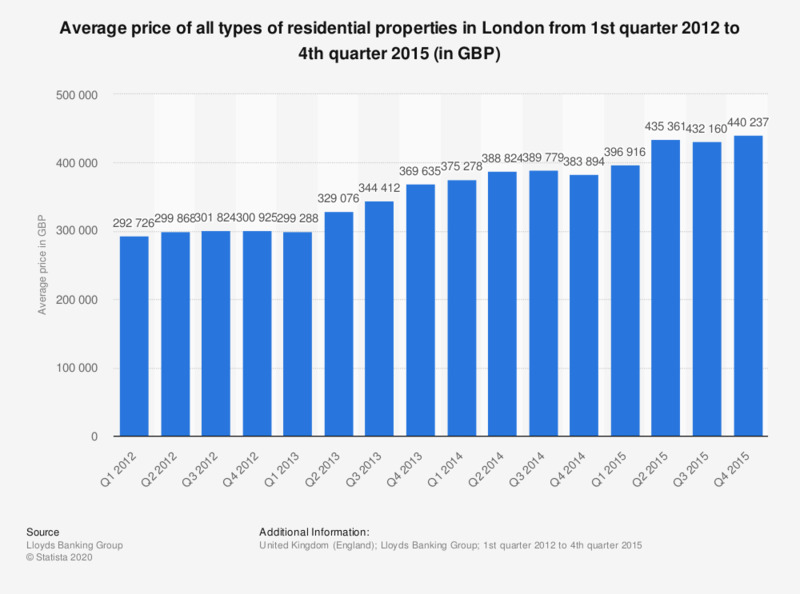 This statistic shows the average price of all residential properties in Greater London (United Kingdom) from the first quarter of 2012 to the fourth quarter of 2015, according to the Halifax house price index. A notable increase was reported between the first and the second quarter of 2015: from 396.9 thousand British pounds (GBP) to 440.2 thousand GBP in three months. This statistic includes the following residential property types from the primary and secondary housing markets: terraced, semi-detached, detached, bungalows, and flats and maisonettes.